Do I need to worry about COSHH? The short answer is Yes you do. If COSHH is not managed correctly you could end up being responsible for serious consequences if someone was to hurt themselves or others badly and you wouldn’t want that would you? The Control of Substances Hazardous to Health Regulations 2002 along with the HSE’s updated code of practice known as L5 which was updated in 2013, states that Companies and building owners have a legal duty to manage Legionella risks in their business’s. Our interactive video based COSHH training online course is aimed at all employers and staff to assist them in identifying the danger that COSHH poses, as well as covering ways to identify & assess sources of risk from COSHH in the work premises and implement & manage a control programme. Our COSHH Training Online Course is approved by the IIRSM and explains the background to COSHH, the potential risks associated with COSHH and how these can be prevented or controlled. It helps you to understand the risk that COSHH poses and helps you develop the systems and working practices you need to stay ahead. It gives you enough knowledge to get a COSHH control programme off the ground yourself – or make confident, informed choices when commissioning others to take this on for you. 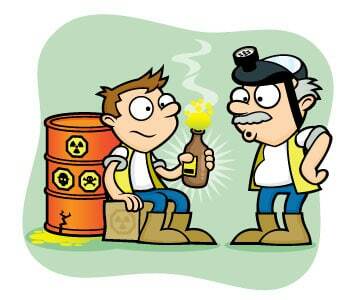 COSHH poses a major workplace health risk. This is recognised in a legal duty to manage the risk. This COSHH Training online course consists of 10 modules with questions at the end. You are given the chance to review all your answers at the end of each module before final submission and you will be given 3 attempts at each module to achieve a pass rate of 70% or higher. (Please note if you require a VAT INVOICE for this training and a PayPal RECEIPT wont do, you MUST contact us, by sending an email with your company details, which course, how many you want and to whom the invoice should be emailed, PRIOR to booking the training so an invoice can be raised and paid for before you start the course). You need an email address in your own name in order to take any of our online courses. 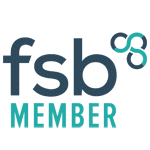 Multi licence packages are available enabling a business administrator to have a master account where they can see who has logged in & who hasn’t, when their delegate has passed and even download a copy of their delegates certificate if required. Contact us today for a price for training your workforce. PLEASE BE AWARE YOU CAN FAIL THIS COURSE. This is an externally audited course and is not a pushover just tick a box course, if it was there wouldn’t be much point in doing it!! If you study each module you will learn enough to pass. Get a quote for COSHH Training Online today. RoSPA approved courses are owned by VideoTile Learning Ltd and are distributed under licence. Award Health and Safety Ltd Rated 5/5 based on 26 reviews. 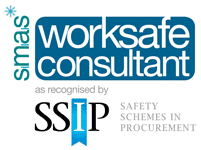 Award Health and Safety Consultants based in Havant, Hampshire providing Health and Safety Consultancy, Health and Safety Training, Asbestos Awareness Training and Asbestos Surveys in Hampshire, West Sussex, Surrey and throughout the South of England. © Copyright 2019 Award Health and Safety. Website built by Northerwood.